BLOWOUT SALE! While Supplies Last! THIS IS SIGNED AUTHENTIC 8X10 PHOTO This items comes with a Certificate of Authenticity. This is a stock item, we have several of these available. The one you will receive will be of equal quality to the one pictured. This item is in great condition and your satisfaction is guaranteed. 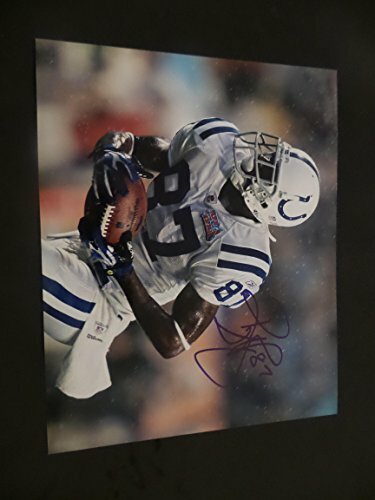 Reggie Wayne Signed Photos are a must have for an Indianapolis Colts football man cave. 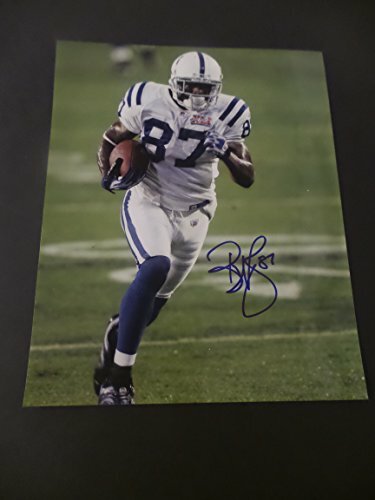 Serious Indianapolis Colts collectors and fan will love this Reggie Wayne Indianapolis Colts Signed 8x10 Photo JSA P55638 from SportsCollectibles. This product has been authenticated by JSA and will come complete with a Certificate of Authenticity and matching tamper-evident hologram. Shop with confidence as this Reggie Wayne autograph has been carefully inspected and passed an authenticity test. Item ships out quickly and securely. For a diehard Indianapolis Colts fan, this is a must have. Reggie Wayne Signed Mini Helmets are a must have for an Indianapolis Colts football man cave. 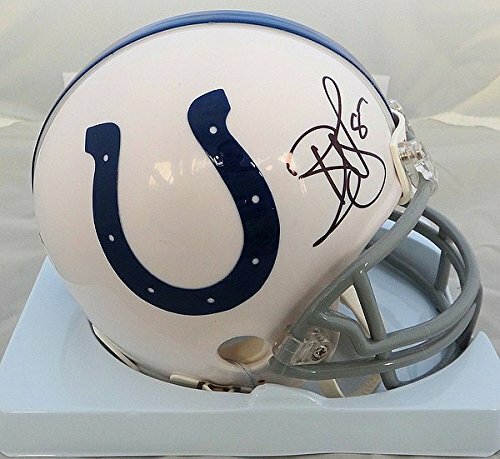 Serious Indianapolis Colts collectors and fan will love this Reggie Wayne Signed Indianapolis Colts Mini Helmet JSA from SportsCollectibles. This product has been authenticated by JSA and will come complete with a Certificate of Authenticity and matching tamper-evident hologram. Shop with confidence as this Reggie Wayne autograph has been carefully inspected and passed an authenticity test. Item ships out quickly and securely. For a diehard Indianapolis Colts fan, this is a must have. 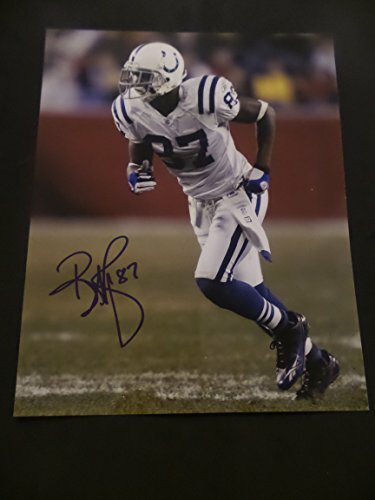 Reggie Wayne Signed Photos are a must have for an Indianapolis Colts football man cave. Serious Indianapolis Colts collectors and fan will love this Reggie Wayne Signed Indianapolis Colts 11x14 Photo JSA from SportsCollectibles. This product has been authenticated by JSA and will come complete with a Certificate of Authenticity and matching tamper-evident hologram. Shop with confidence as this Reggie Wayne autograph has been carefully inspected and passed an authenticity test. Item ships out quickly and securely. For a diehard Indianapolis Colts fan, this is a must have. 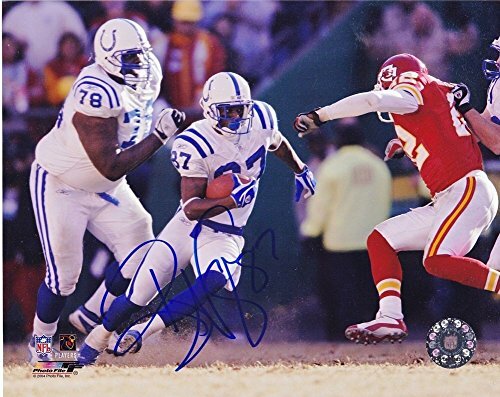 Check out this Reggie Wayne Indianapolis Colts Action Signed 8x10 Photograph. This item comes complete with a Certificate of Authenticity and tamper-evident matching hologram. 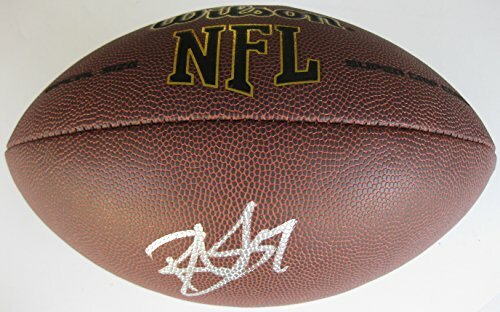 This item is perfect for a NFL Memorabilia collector or sports fan. 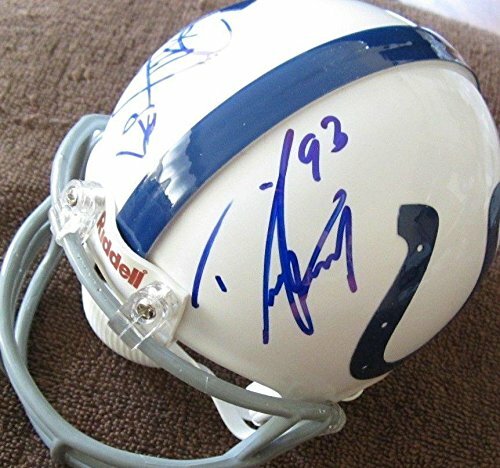 Boost your Indianapolis Colts collection with an autographed piece of sports memorabilia. Your order will be shipped double boxed, well protected and insured. 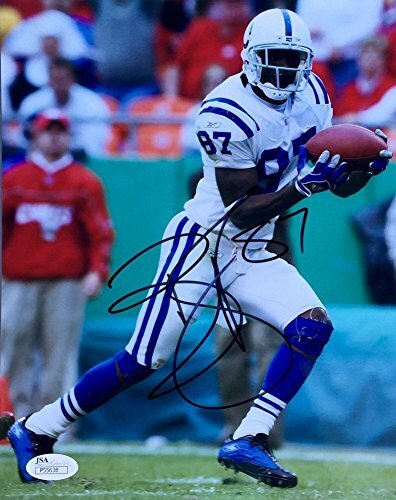 Looking for more Reggie Wayne Signed Colts similar ideas? Try to explore these searches: 8' Hollow Ground Chefs Knife, German Battlecruiser, and Deluxe Hip Kit.